Every day, every week, month by month year by year, City Gates continues to be the hands and feet of Jesus Christ bringing prayer and provision to a broken society. Whether you set up on the street on Thursday nights. Or you are picking up furniture and praying for those donating and then praying over all those who receive. Or you’re sending provision and praying for the families who are receiving. The love you have and the gift of service you bring changes people. Every time we make ourselves available to help someone in need we deliver the heart of Christ. Ministry doesn’t happen unless some shows up. YTD over 1700 hours of community service has touched over 3000 people by your love for others through City Gates Ministries. Thank you! June 30th “Shoes for Hope” you shared your humility to over 600 people by means of washing the feet of every person receiving shoes. Great is your faith. The peace of God was present and I could sense His love changing both those who were receiving and those who were serving. What an amazing feeling. Thank you Jonathan Stewart and Samaritans Feet for making this experience possible. Our next event will be our Back to School Back Pack Giveaway August 11th 6:00 pm on the corner of State and Adams. We expect to pray over every parent and every child who receives a back pack. Yes, pray. Why pray? I’m reminded of the response we received from a mother who received prayer from the event last year. She writes; today I attended your back to school drive. I met so many truly loving nonjudgmental people and even was able to pray with a woman at the back pack line for the first time in 6 years. I cried. I am a single mom of 3 that works hard as a CNA and can barely pay the rent and basic bills. I felt shame having to go at first but left feeling a relief off my shoulders and a sense of “it’s going to be okay”. Thank you to all. My 6 yr. old daughter enjoyed dancing in front of the stage with her friend and I’ve never felt so welcomed in my life. 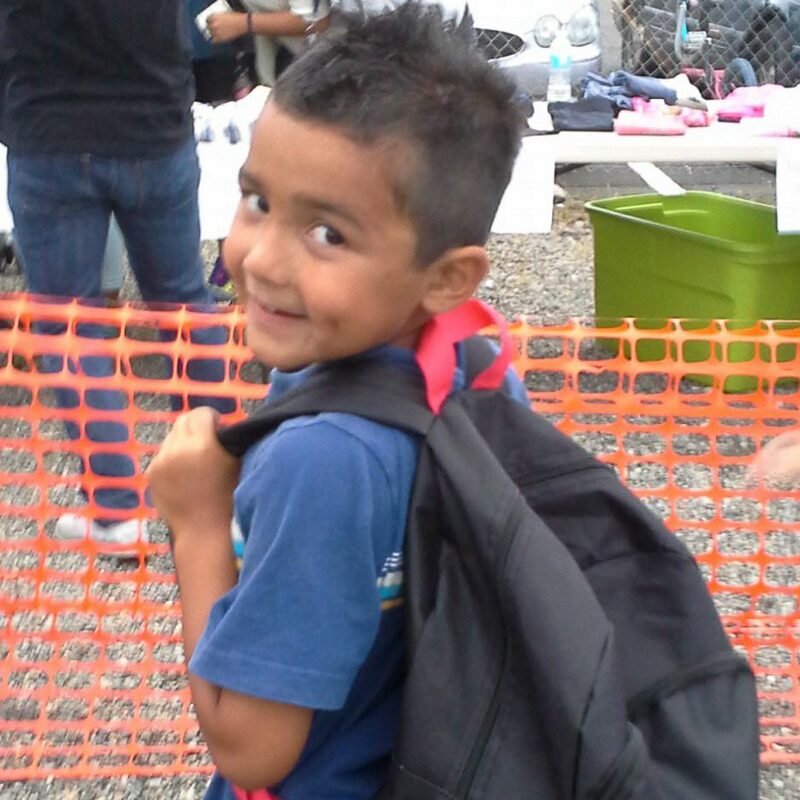 We are believing for 700 back packs to be available to kids going back to school this year. City Gates is asking you and our community partners to help with the provision needed for the event. How many back packs can you support? Even if it’s only one the one will come with the hope and love of Jesus Christ. Because of your donations we have collected prepared over2000 lbs. of clothes that will be available to kids to shop until they drop for the August 11th “Back to School Back Pack Giveaway”. City Gates welcomes our community partners Molina Health Care, Bright Smiles Dental, and Walgreens. If you are interested in serving at this event or want to provide provision for back packs make sure you visit our web site (https://www.citygaesministries.org) or call City Gates Ministries 360-705-0291. Leave a message so we can get back with you. Be sure to purchase your coffee from our friends at Scatter Creek Coffee Roasters. Great Coffee! Special thanks to all of you who make it possible for low income families going back to school. 100% of the profits through the entire month of July go to help kids get back to School. August, 4th – Stop by O’Blarney’s Irish Pub for fun, food and drink and purchase a few raffle tickets for an amazing vacation trip. O’Blarney’s will donate 20% of their profits to help Kids back to school August 11th. Update! Last month you sent our friend Riesa to the Mayo Clinic in Rochester Minnesota. She received a genetically engineered bladder and had her left kidney removed. We write to you to let you know the surgery was a success and Riesa will be back home recovering by the time you receive this letter. Thank you for extending her life and making this possible. Our next Local Missions project will be to refurbish our 5th donated mobile home and gift it to a family in need. If you are a community driven organization or a church and are looking for a place to really help someone in need, we encourage you to get involved with this rewarding and fulfilling adventure as you make ready a home for someone in need. We need youth to help clean up the yard, rebuild a porch and pressure wash the mobile, paint and pray over the home. We are needing additional volunteers who can make themselves available to do some floor repair, electrical, and refurbish some of the areas needing attention and if the kids haven’t covered it, Prayer. Thank you Kat for your generous heart. Because of you Tara, a single mom of three who recently lost her husband will not become homeless. Better yet she will own her own home. If you are interested in getting involved please go to our web site (https://www.citygaesministries.org) or call 360-705-0291. City Gates Ministries is excited to present our 7th annual live and silent dinner auction “Bountiful Blessings” October 29th 4:30 pm. We want to thank Westwood Baptist Church for hosting City Gates Auction for the second year in a row. Our sponsors, Wieland Financial Inc, Interstate Batteries, Smart Energy. Make sure you “Save the Date” The event is usually a sold out show so be sure to purchase you tickets early. All proceeds go to help people in need within our community. Thank you for your continued support.